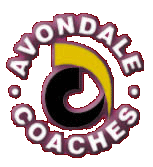 Avondale Coaches are available for bookings in the following sizes of coach. 25, 29 and 33 seaters. If you'd like to hire one of our coaches, please fill out the form below and we'll contact you to confirm availabilty and discuss booking terms.